President Donald Trump isn't happy with the latest hike in interest rates. The Federal Reserve on Wednesday raised rates for the third time this year, reflecting a strong economy with low unemployment. Hours later, the president again broke with tradition by criticizing the central bank. "I am not happy about that," he said at a press conference in New York. "I'd rather pay down debt or do other things, create more jobs, so I'm worried about the fact that they seem to like raising interest rates. We can do other things with the money." He added: "But they raised them, and they're raising them because we're doing so well." He also said he was happy for people who save their money and "are starting to get interest." The Fed has been gradually raising rates for three years, finally restoring them to normal levels long after the financial crisis. The central bank manages rates to stimulate a weak economy or to keep it from running too hot, which can set off inflation. The Fed is designed to be independent of political interference, and presidents generally avoid commenting on monetary policy. But Trump told CNBC in July and Reuters in August that higher rates undermine America's competitive edge against other countries. "I'm not thrilled with his raising of interest rates, no. 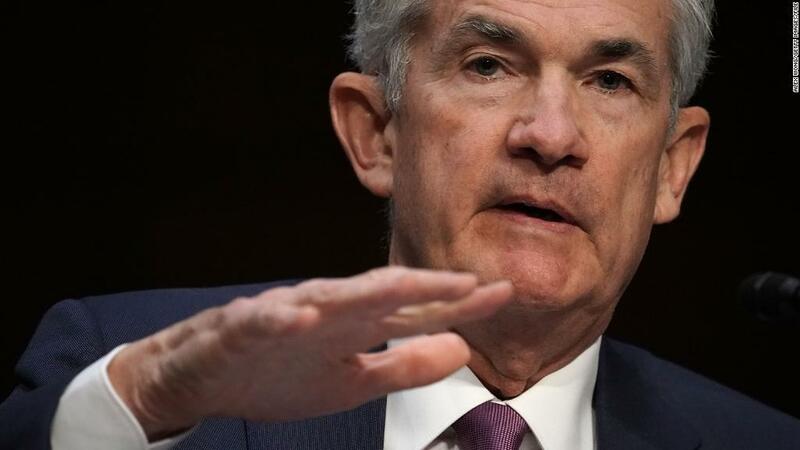 I'm not thrilled," Trump, who himself appointed Powell to lead the central bank, said in the Reuters interview. "I should be given some help by the Fed." At his own press conference earlier in the day, Fed Chairman Jerome Powell was asked about Trump's criticism and brushed it off. "We don't consider political factors or things like that," Powell said. "That's who we are. That's what we do. And that's just the way it's always going to be for us." Since Trump took office, the Fed has raised rates six times, including three times under Powell. The Fed is gradually raising rates as the economy gains strength. At the press conference, Powell said that the Fed considers the best thinking and evidence in determining interest-rate policy. "We've been given a really important job to do on behalf of the American people by Congress, and we've been given the tools to do it," he said. "My colleagues and I are focused exclusively on carrying out that mission."